I came home from meeting a friend last night and Eric said, “Sit on the couch, I have something really gross to show you!” Now I’m not easily grossed out, I used to want to be a paramedic so blood, guts, protruding bones, hasn’t really bothered me. Bugs are cool, I’ll eat pretty much any food, sometimes including bugs. I was very curious what he had to show me that he thought would gross me out (I knew it wouldn’t be mucus because that’s the one thing that does gross me out and he just knows better!). He had the camera’s memory card in our Wii and popped up the picture below on the screen (I added the drawing part). 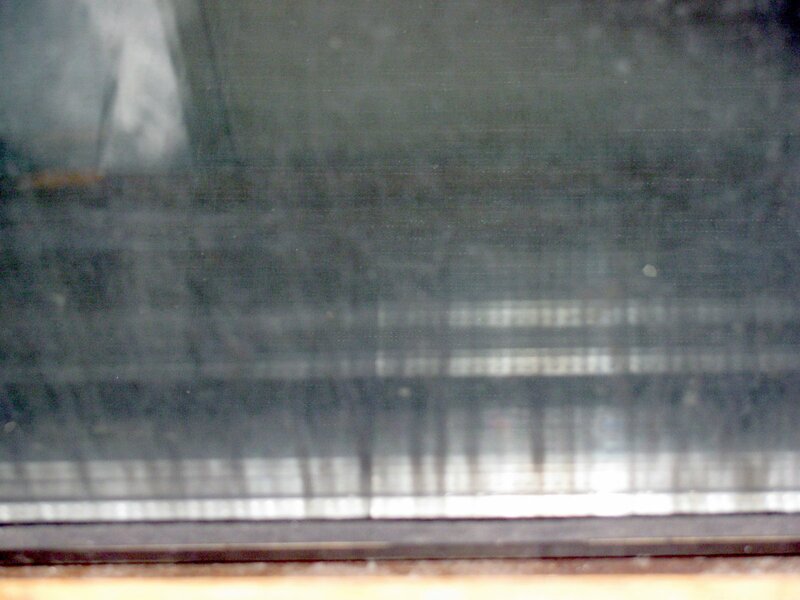 Our window was covered in mold! We only open the curtains and blinds in the summer, when we need to let air in to cool the room down (our apartment gets over 100 degrees). 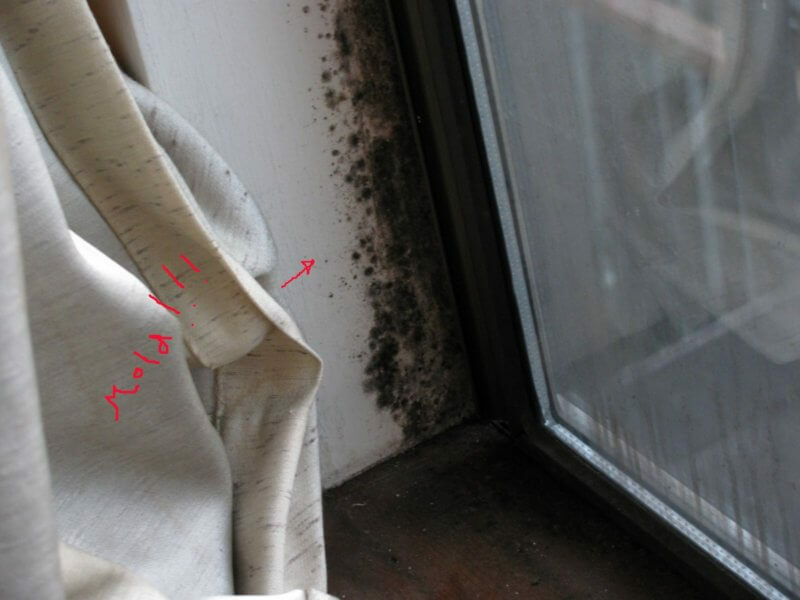 Apparently the condensation on our window all winter was causing mold to grow rampantly. It was all over the sill, inner walls, and window. I’ve also lately noticed some yellowish stains like water drips on our walls and ceiling in the bathroom. Eric said it’s probably just water drops but now I’m wondering if it’s some kind of mold or mildew. 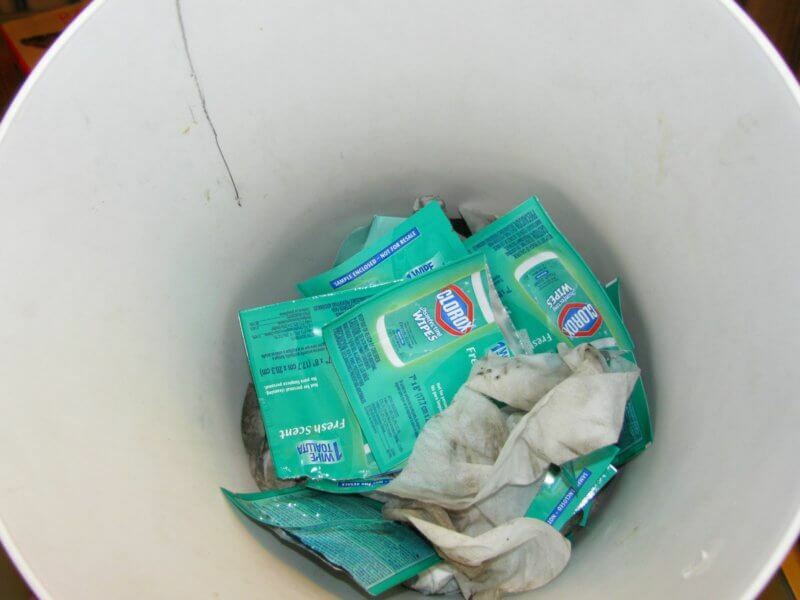 Eric cleaned it up with a bunch of Clorox wipes (We got hundreds of these individually wrapped wipes for free). I’m wondering if there’s more we need to do, and if this is related to all the health problems I’ve been having. I’m going to the Doctor right now because of a very painful shoulder/neck/back that I can’t figure out or seem to get better. I guess I’ll mention the mold to him, and do some research later tonight. Have any of you had mold problems before? Any advice? Bleach + mold = no more mold (generally). We had this problem at my last place. I hated it. Grossness, indeed! Hopefully you won’t have any more moldy problems. Thanks Chou, I’m glad I’m not alone in this. We’ll definitely be keeping an eye out for more.